Thinking about it brings tears to my eyes… Turning pain into purpose. 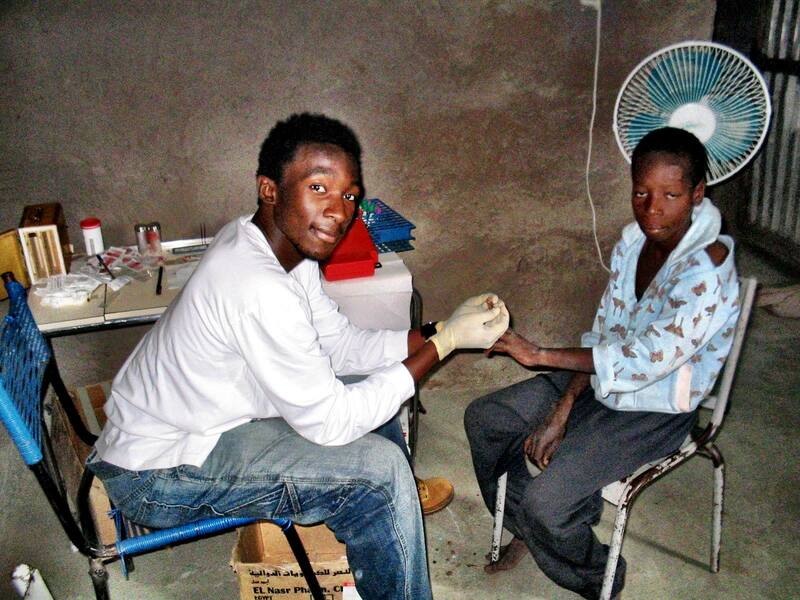 Photo: Me in a village in Mali, drawing blood samples for malaria research. I’m an introvert. Though I’ve changed over the years to be more of an extrovert, which to me feels extremely mechanical, a big part of me will always find refuge in being an introvert. It feels safe to me. I didn’t have the worst of childhoods but it was an unusual one. Whenever I feel down I travel back to one of my most fragile memories as a child, I was 9, and I’d come to the realization that everything I knew about myself and the people around me was a lie. I don’t think it destroyed me but it changed me dramatically, forever. Ironically, that fragility became a strength that I carry on until this day and will until I draw my last breath. See, I was that kid that not many people thought would amount to much. My life prospect was pretty much ZERO. Most of my childhood friends today would probably agree. I have vivid memories of my dad telling me “why can’t you be like THAT kid?” and “THAT” referred to kids who were, I guess, better than me. By the way many of those kids are still my friends today. Sure I acted up but I wasn’t crazy – I just happened to live in a world where no one understood me – to be honest it was more like no one cared to understand me. So from a young age, I developed the discipline to always understand and see the potential in people. And yes, many people have taken advantage of it but I can’t nor do I want to stop. I’ve changed my approach on how I deal with people but the goal hasn’t changed – I want to make more than a dent in this world and I want to help as many people as I can leave their mark too. I tutored organic Chemistry at a junior college in my earlier years, Cosumnes River College in Sacramento to be exact, and it was not unusual for me to meet with students over the week-end to help them prepare for tests or complete assignments. Two of those students were Amir and Yassir from Saudi Arabia. One day, as I stood in my Physics class waiting for the instructor to arrive, Yassir, the older one, called me out of the class and told me the following words: “Hi Luc, I just wanted to tell you that I got my organic chemistry grades and I got a B+. I just wanted to thank you for all your help. I know we never paid you but I’ll never forget what you did for me. Even if one day something happened to my brain I will never forget you.” That to me was worth more than any money he could have ever paid me. My chemistry professor, Dr. Montanez was the first man that ever showed belief in me and he’s shaped my life in more ways than even him can imagine. He knew nothing about me, he certainly didn’t know how terrified I was of Chemistry and that I failed it constantly in high school! But the first time he saw me, he told me “I think you’re going to do very well in this class.” I Aced every single chemistry class I took, won the top chemistry student award at the school, became a recipient of the American Chemistry Society Scholar award, and was one of the youngest student and the only one from a junior college ever selected by the University of Maryland School of Medicine to participate on an internship program with researchers developing an anti-malaria vaccine in Mali, West Africa. This only goes to show the positive power we can have on each other as human beings. I am not special. I was just lucky to meet someone who saw a glimpse of potential in me and expressed it. Everyone of us can make a difference and it doesn’t always have to be the most grandiose of acts. Sometimes just a little word of encouragement can change someone’s life. It’s happened to me and I’m committed to passing it on.